• Pay for apprenticeship training at Ivy Tech Community College. In addition to investments made by some generous MMA members, the grant also provided seed money to hire a director of talent and workforce partnerships. One Southern Indiana’s Talent Development Initiative was launched! There has been much experienced and learned in the time since I was hired this past January. I have met many people throughout the state working in the same space and have heard tales of workforce efforts, both good and bad, and many with trials and tribulations. I have educated myself on the various programs promoting apprenticeship programs and skilled trades training, available at the local, state, and federal levels. Be they large, medium or small, the successful best-in-class businesses all approach workforce as a strategic tenet of their business strategy. To plainly re-state the previous sentence – successful businesses see talent development as a priority - not just a program. If treated as a flavor of the month, it will fail miserably. In addition, it has become clear to me and to successful business owners that if you wait around for someone else to solve the problem – you do not have the right to complain about the result. Adaptation to the current environment will work in the short-run. However, over time, how much of your profit can you afford to leave on the table when you cannot accept large orders due to an inability to “scale up” because you have a workforce with limited skill-sets or lack a continuous employee development program? Merriam-Webster defines the word “initiative” as an introductory step. While attending a sector partnership summit earlier this month, it occurred to me that it was time to rebrand the WorkHub and clarify this “workforce thing” we had launched. The phrase, “A Philosophy not a Program,” kept running through my head. This, coupled with a constant burning desire to better define the WorkHUB brand, led me to determine it was time for a change. As I see it, the initiation stage of the talent development initiative is over. It is now time to move from the start-up phase to a long-term, sustainable stage in the process. Entering year two for talent development will see a slight change in the branding. WorkHUB will no longer be labeled as an initiative but as a PRIORITY! Time and attention also will be dedicated to the other major industries within our region, specifically construction trades. Looking forward, I am currently working with partners on round three of SkillUP! Indiana grant. The focus will expand the development of the future workforce through our regions’ schools, with an emphasis on the top 20 in-demand jobs for our region. The primary objective of this 10-year vision is to provide the necessary pipeline to fill the thousands of jobs that will be needed by the year 2024. As I continue to find ways to assist you with workforce development, I encourage you to adopt a new approach to strategic workforce development planning in the new year. When you consider your 2018 budget, invest in a long-term workforce development and retention strategy. Put numbers to it. Don’t continue to do the same things over and over in the vain hope you will get a different outcome. And if you, like me, are ready to move into the next phase, reach out to me. I am here to help. 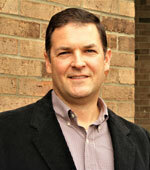 -Paul Holba is the Workforce Talent Development Director at 1si. To contact him, email paulh@1si.org.